Supplied as barrels only, I believe they are extremely close to the McCoy Max darts. I measured them at 48.3 mm x 6.77 mm, my scales only measure to 0.1 gram tolerance and all three barrels weighed 23 gram. First thing done was to fit 35 mm plain black points. Set up with medium gradient stems, titanium rings and punched Designa 75 micron flights the balance was almost exactly central. Nice write up and comparison pics Chris, thanks for sharing. Nice review Chris, updated reviewed dart index. No description on these for the listing, so I just put them in as 'Generic Ring Grip'. If you have something better, no problem to change. of sky high pricing . Some people just want no nonsense Darts without all the elaborate packaging and gimmicky cosmetics . Great review Chris, . 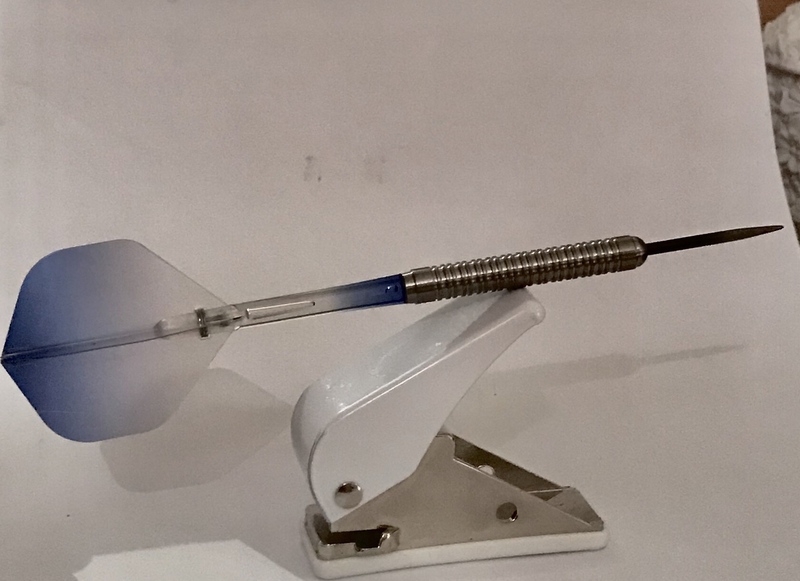 . . of the same old, same old stuff we've come to expect from Darts Clearance, . . . . great, ever-changing, range of darts to suit any player, top quality and amazing value !!! Really can't say enough good things about D C, and you won't go far wrong with their service. Not got these particular ones myself, maybe a little bit short for me. 48mm is definitely my lowest limit, my usual MvG's are about 53 / 54mm i think. 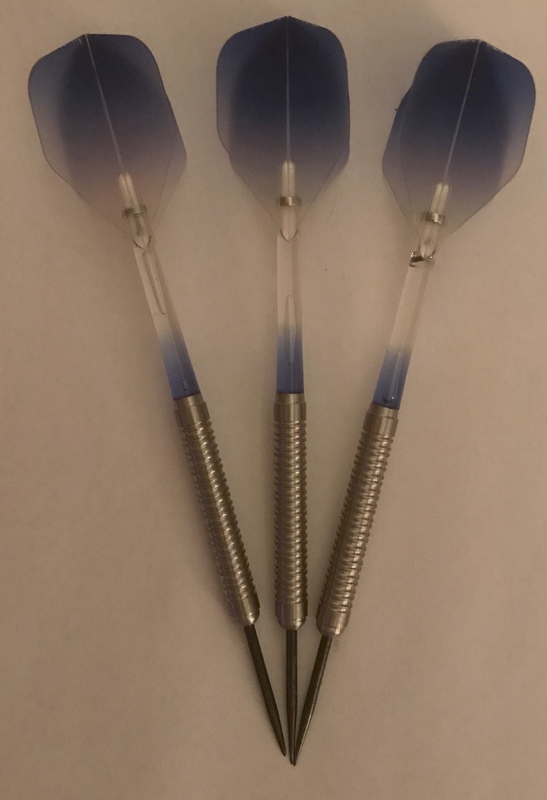 I got a couple of sets of the similar styled 22g Ando-likes a while ago & they're a longer dart at about 54mm. I love them. Quality & feel is outstanding ! Got about 6 sets in total from Darts Clearance (not a huge amount), but i have noticed how close their weight matching is ! Pretty much bang on in some cases ! imo, their weight matching is noticably better than many of my Target / Unicorn, or any of the other 'higher-end' retailers ! 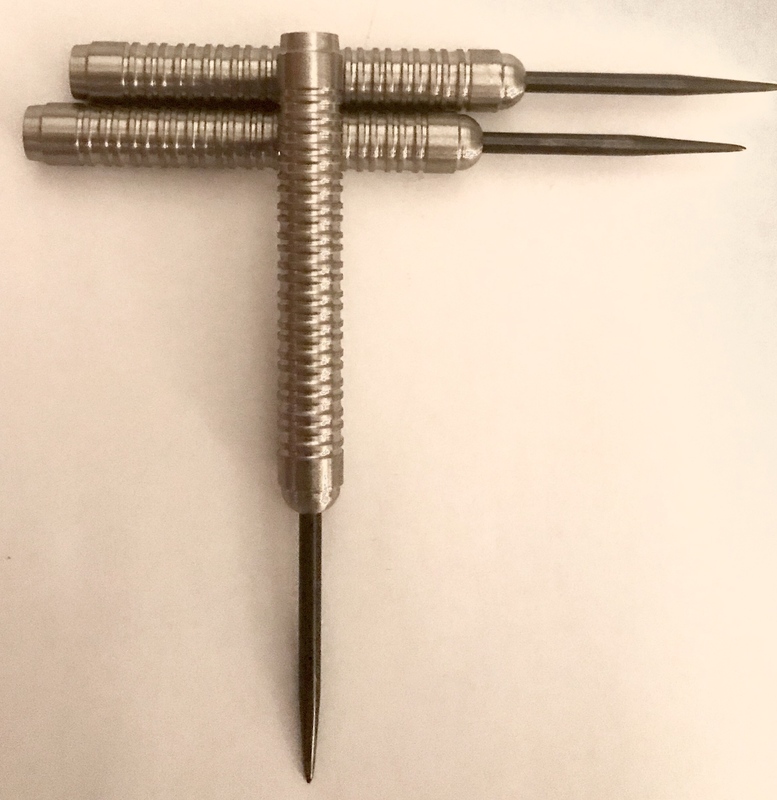 Good old fashioned, ringed tungsten bargain darts are the future !